We thought of going to eat dim sum after Garibaldi because you know lah, fine dining portions are small and we thought we would still be hungry. But we decided to maintain our hourglass figures and not eat so much. The four of us walked to Ah Chew Desserts two streets away. That is my exercise for the day. I always wanted to try Ah Chew because it was always so packed. Of the three Chinese dessert places I have tried–Ji De Chi, Ah Chew and Wei Xiang Yuan (Chinatown) –Ah Chew is in the top three, coming in at #3. I wonder why the fascination with Ah Chew. 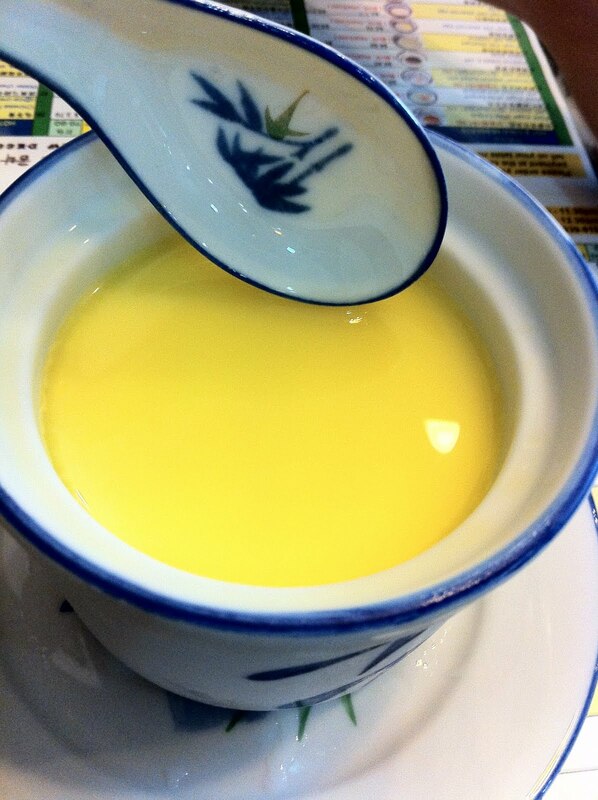 The steamed egg with ginger was ok but the texture was not smooth and slightly hard. The Mango pomelo sago had the potential to be better than Wei Xiang Yuan, but to keep the dessert cold, Ah Chew uses small ice cubes, so small that you have to bite the ice cubes along with the desserts, and the biting of the ice cube disrupts the pleasure of eating. Very stupid. Go across to Ji De Chi and eat the durian paste dessert. Much better.